♥ Mama 2 Multiples ♥: Purex Crystals Limited Edition Fabulously Fresh Review & Giveaway! 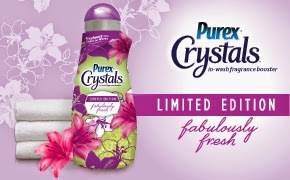 Purex Crystals Limited Edition Fabulously Fresh Review & Giveaway! Another Purex laundry product that I have been obsessed with for a year or so now are the Purex Crystals products. 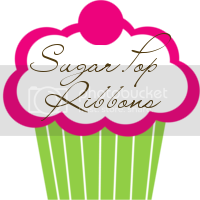 They are, to put it simply, little rock like crystals that you simply add to your load of laundry, and they leave it smelling sooooo deliciously amazing! So when I got the opportunity to review another NEW Purex Insiders product, particularly a new limited edition scent of Purex Crystals, I was super excited! It didn't take me long to finish up this bottle of Purex Crystals because I loved it SO much and used a little more than the recommended cap full in each load because it smelled SO good and left all of our clothes smelling scrumptious, amazing, and beyond fresh! And now, it's YOUR turn to try these crystals out too! THREE lucky readers of Mama 2 Multiples are going to WIN (a coupon) for a FREE bottle of Purex Crystals (and if you're lucky, you will be able to find this amazing limited edition scent at a store near you!)! To enter, simply follow the instructions and fill out the giveaway form below!